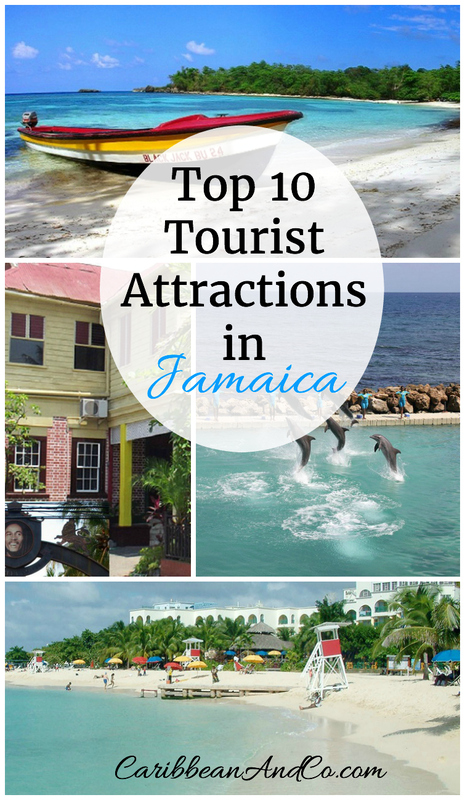 Top 10 Tourist Attractions in Jamaica - Caribbean & Co. The Doctor’s Cave beach gained fame in the early 1920s when news spread that the water possessed medicinal powers. 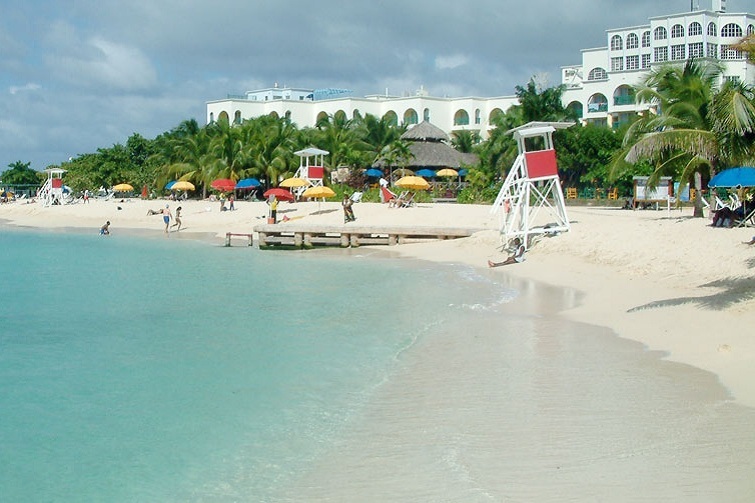 Today, it remains one of the best beaches on the island, luring visitors from all over the world with its spectacular white sand and crystal blue waters. The beach is especially crowded when cruise ships visit and passengers flock to the location to soak in its reputed healing powers. The Rose Hall Great House is a restored plantation house built in 1770. It is the former home of the legendary Annie Palmer who earned the nickname, the White Witch of Rose Hall, due to tales that she lured several of her lovers to their death. The house, which is open for daily tours, is said to be haunted with her spirit to this day, and there have been several reports of ghost sightings over the years. Gliding on bamboo rafts on the serene Martha Brae River is one of the most popular tourist attractions in Jamaica. The journey takes visitors on a peaceful journey to explore the natural flora and fauna of the island, led by expert guides through some of the most breathtaking scenes of nature. At 2,256 meters, the Blue Mountain is Jamaica’s highest peak and the home of the world famous Blue Mountain coffee. Nature lovers will enjoy these 200,000 acres of tropical rainforest, adorned with breathtaking mountain vistas, waterfalls, lush rainforests, and exotic plants and animals. More than 800 species of endemic plants and more than 200 species of birds can be found in the park, as well as the world’s second largest butterfly. What is a visit to Jamaica without a Bob Marley experience? 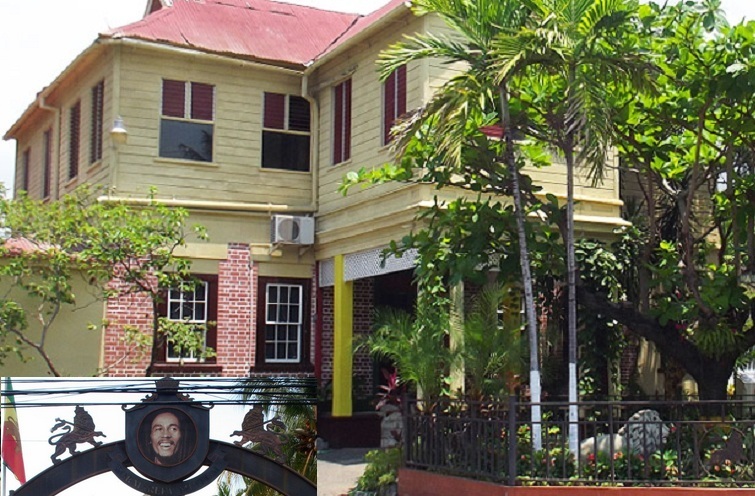 The former home of the reggae icon is located right in the heart of the capital city, Kingston. Open for visitors daily, the tour gives an insightful look into the life of the superstar before his death in 1981. It includes a visit to Marley’s bedroom where bullet holes are visible from an assassination attempt, and his favorite star shaped guitar still lies undisturbed by the bed. The Tuff Gong Studio where he recorded some of his greatest hits and Marley’s original record shop are also on the property. Visitors can purchase authentic Marley memorabilia on site. Mystic Mountain is the perfect attraction for adventure seekers. The Rainforest SkyExplorer takes visitors on a magical journey on a chairlift high above the trees to see spectacular views of Ocho Rios and the Caribbean coastline. Once at the top, visitors can take a thrilling ride down the mountain on the Bobsled, a single person roller coaster ride. Or you can crisscross through the forest on a heart-stopping zipline adventure. You really haven’t experienced Jamaica unless you’ve climbed the Dunn’s River Falls. This is one of Jamaica’s most famous natural attractions, with its magnificent waterfalls crashing towards the sea. With the aid of a guide, visitors can climb all the way to the top, stopping to relax several refreshing pools. Visitors describe it as quite an invigorating experience, completed by a relaxing swim in the beach below. It is less famous than Dunns River Falls, but the Mayfield Falls is just as exhilarating. Its secluded location makes it an excellent draw for nature lovers who can enjoy two beautiful waterfalls with natural pools, and an abundance of ferns, tropical flowers and rainforest flora. Expert guides lead you on a rejuvenating climb of the falls, after which a delicious Jamaican lunch awaits. The Dolphin Cove attractions have become so popular that you have to book way in advance to ensure that you have a space. Once there, you will enjoy a memorable dolphin experience including swimming and interacting up close with dolphins. There are many other things to do and see including watching shark feeding and stingrays, riding in glass bottom boats, and chatting with the parrots. 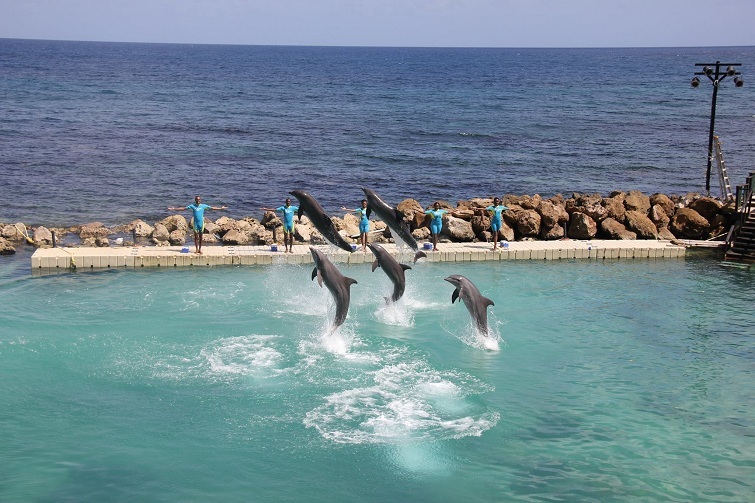 Dolphin Cove has three locations in Ocho Rios, in Lucea near Negril, and at the Half Moon property in Montego Bay. Hidden on Jamaica’s South Coast, the Appleton Estate Rum Tour gives an inside look at the process of making one of the world’s finest rums. Visitors are taken on a historical journey, from the 18th century days of using donkeys to extract the juice from sugarcane to the modern Distillery and Aging House now in use. On display are the Copper Pot Stills that give the rum the distinctive character that is unique to Appleton. Visitors can also purchase the Appleton Estate Exclusive Jamaica Rum, a luxurious blend of rums which is sold only at the Estate and select travel retail outlets on island. For flight and hotel deals to the Jamaica and the rest of the Caribbean, check out our Caribbean travel partner, Expedia.com. Courtleigh Hotel & Suites: In the city’s financial district, rooms at this modern family-run hotel range from plush doubles to luxury suites. All have lovely views and mahogany furniture. 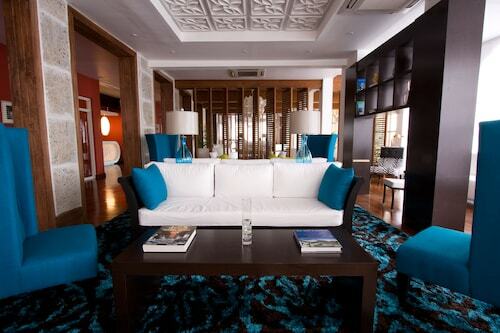 The Jamaica Pegasus Hotel: This is a high-rise hotel extensively used by business travelers. Amenities include a tennis court, jogging track and Olympic-sized pool. The Spanish Court: Aiming to become the premier hotel in Kingston for tourist and business travelers, the hotel is in the heart of the city and has chic retro furnishings. 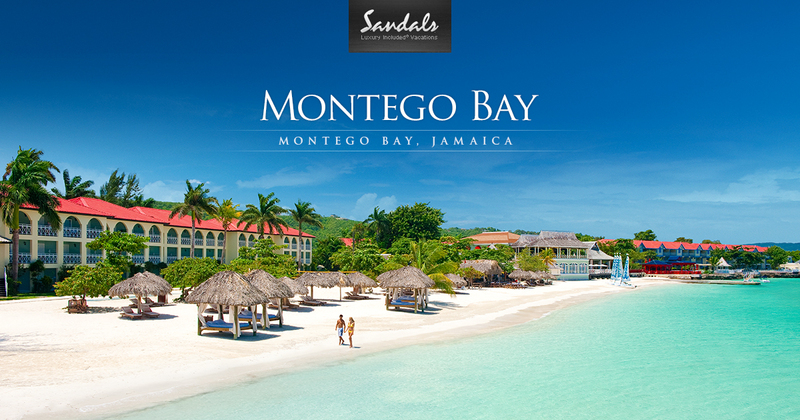 Sandals Montego Bay: This is Sandal’s first resort and is geared toward couples. Situated on a private beach, the all-inclusive resort is centered around non-stop activities and just generally having a good time. 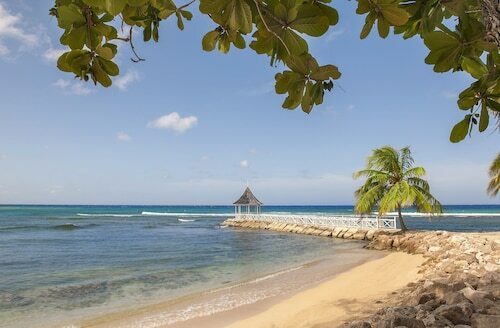 Half Moon Resort: Set in beautiful surroundings, this luxury resort hotel exudes all the class of old-time Jamaica. Guests can enjoy watersports, tennis, a world-renowned golf course and spacious landscaped grounds. Round Hill Hotel & Villas: This exclusive hilltop boutique hotel has a plantation theme and a beach club. The rooms and villas were styled by Ralph Lauren. The Caves: Popular with celebrities, rooms here are romantic, individually designed and stylishly furnished. There is an Aveda spa and cliff-top dining at the water’s edge. Couples Swept Away: Exuding romance, this deluxe all-inclusive resort for couples stand over its over beach. Beloved by active guests, there is a massive fitness complex with a wide range of activities. 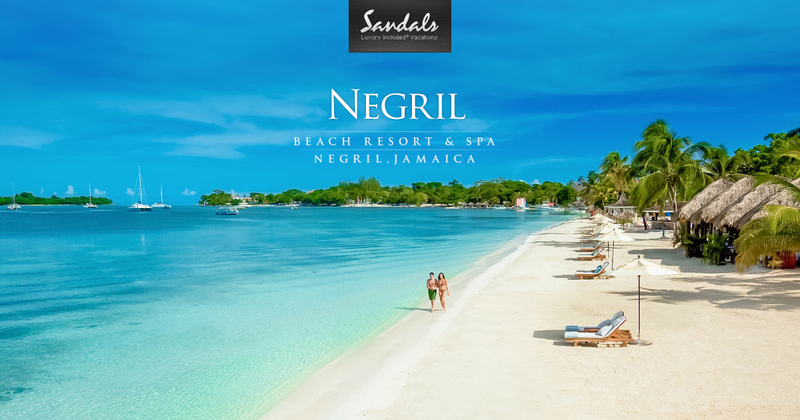 Sandals Negril Beach Resort & Spa: This all-inclusive Sandals resort is supremely elegant and limited to couples. On offer are a range of dining options, activities, entertainment, and watersports. Goldeneye: Popular with celebrities, this stylish and exclusive resort was built initially built as the Jamaican home James Bond author Ian Fleming. There are individually styled villas and lagoon cottages plus lots of activities including watersports, spa treatments, and yoga. Hermosa Cove Villa Resort & Suites: Secluded in a walled-in complex, Hermosa Cove’s contemporary one, and two-story villas are artfully decorated and set in verdant lush grounds. 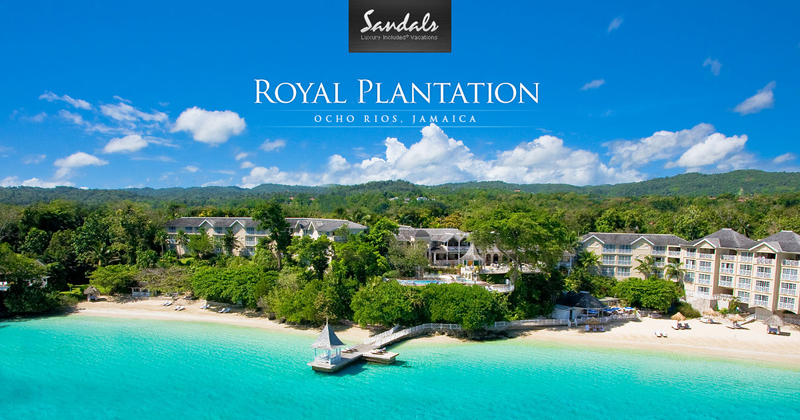 Sandals Royal Plantation: Another of the Sandals all-inclusive resorts, this one indulges guests with old-world elegance and 24-hour butler service. There is also a championship golf course.